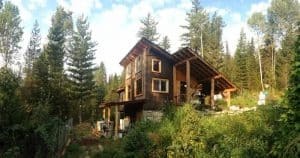 You want to start homesteading but don’t have a lot of land? Lack of land is one of the biggest excuses that I hear from people who’d like to become more self-sufficient but just don’t get started. I hear you, because I also used to believe that homesteading required tons of land! That’s why I want to share these tiny homestead layouts with you. The homestead layout plans are 1 acre or under and help their owners achieve a huge degree of self-sufficiency and even some income! 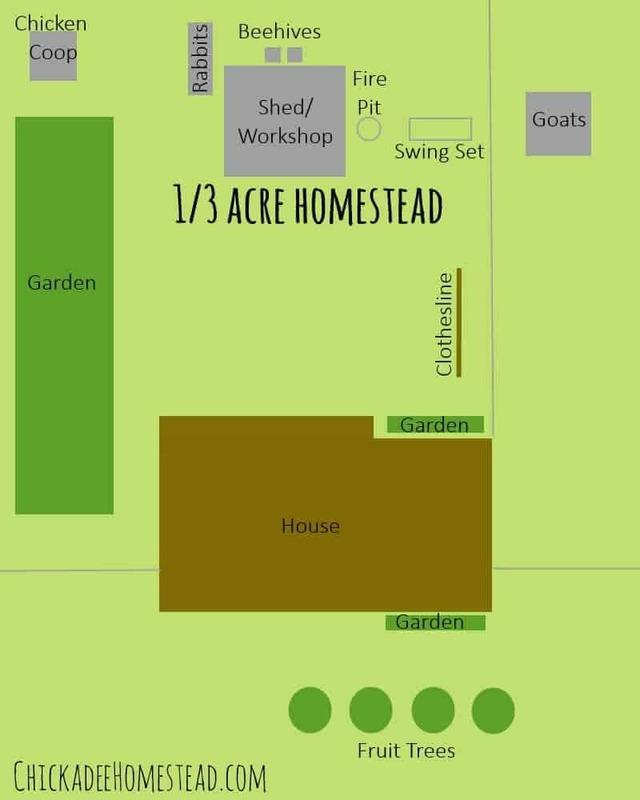 This homestead layout plan is from Lindsey at Chickadeehomestead.com. Yes, it is really only 1/3 of an acre – but that is enough for the family to raise and grow 80% of their own food as well as most of their personal care items! How have they done it? By focusing on food sources which don’t take up a lot of space. For example, raising chickens and rabbits instead of cattle and sheep. You can learn more about the homestead here. 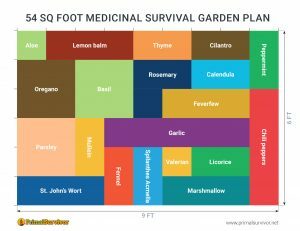 Melissa over at Evergrowingfarm.com has a truly impressive homestead layout – particularly because it is an urban farm. How did they do it? It was all about smart practices like crop rotation and utilizing the space smartly. You can learn more about the urban homestead here. 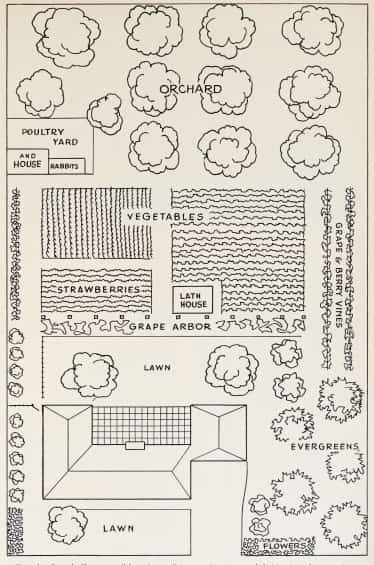 This ½ acre homestead layout comes from a 1950’s brochure made by the California Agricultural Extension Service. You’ll see that the home and living area haven’t been significantly reduced (you could put more garden space or chickens where those evergreens are!). Yet, there is still a lot of food to be reaped from the orchard and garden. Like with the first tiny homestead, rabbits and chickens have been chosen for their efficiency. The owners of these websites didn’t get back to me with permission to share their images. 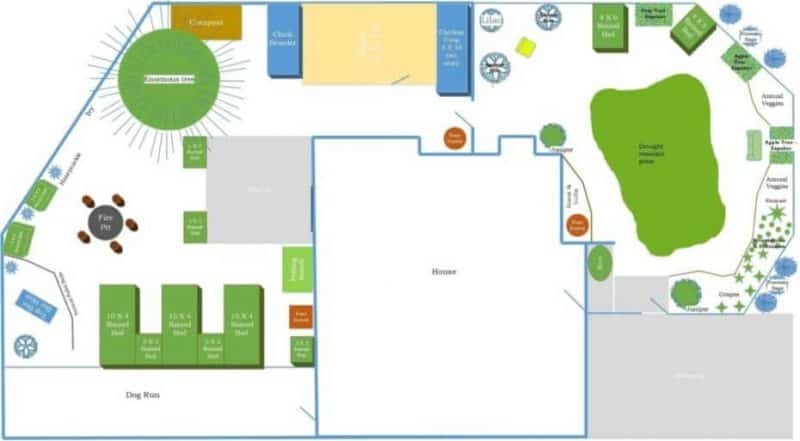 So, you’ll have to click to the website to see the tiny homestead layouts yourself. It just shows that there are many ways to improve your self-sufficiency through homesteading even in a small space! Before I started on my own homesteading journey, I thought that I’d need a lot of land to achieve any degree of self-sufficiency. Then I started researching homesteading and visiting homesteads too. I was amazed at what was being done — even on the rooftops of city homes and tiny backyards. It is easy to understand why people think you need a lot of space to be self-sufficient. Our country’s food production is dominated by giant CAFO farms and huge mono-crops. While it certainly helps to have a lot of land, it isn’t always necessary. 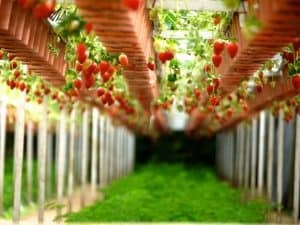 Modern farming techniques have made it possible to raise a lot more food in less space, and good planning and homestead design can go a long way. Growing Power: They have just 2 acres in Milwaukee, but grow over 1 million pounds of food yearly. 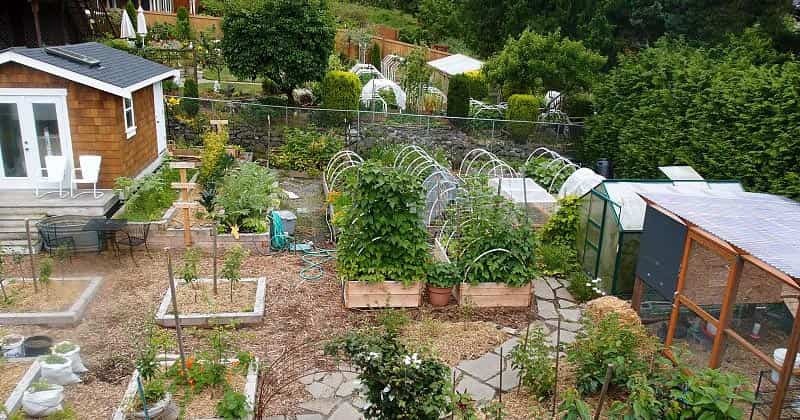 The Urban Homestead: Not only does this family produce the majority of their own food from their 1/5 acre homestead, but they also generate $60,000 from yearly. Singing Frogs Farm: This homestead is larger at 3 harvested acres, but you’d still be surprised to learn that they generate over $100,000 per acre. The key is using sustainable methods to keep their topsoil healthy. I’m not going to lie and say that it is easy to become self-sufficient on a tiny homestead. There is definitely a high learning curve! But, if you stick with it, you’ll find yourself rewarded with your own food and maybe even have a medicinal garden and homemade cleaning products. How to Grow More Vegetables: This book is all about biointensive gardening methods that produce huge yields on small garden plots. The Backyard Homestead: This book deals with all of the logistics of planning your homestead, from where to put the chicken coops to how to set up the garden. I love that it focuses on small spaces. Your Custom Homestead: If you prefer a step-by-step style of book, then this one is for you. It breaks homesteading down into a 21-day process that will get you closer to self-sufficiency through homesteading. The process is applicable whether you are in a small urban lot or a massive remote farm. 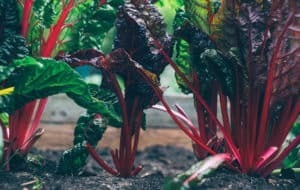 Maximizing Your Mini Farm – Self Suffiency on ¼ Acre: There is a lot of really good information in this book, such as soil fertility techniques, trellising, heated water platforms, and planting guides. I also like that Brett talks about how to get the most out of specific veggies like carrots and peppers. You’ll also find info like making your own vinegar and cheese. Backyard Farming on an Acre (More or Less): Here is a book for people just getting started with homesteading. It starts with advice about purchasing land and takes you through garden planning and skills backyard farmers need to know. USDA Farm Structure Plans: Here is a free download which has tons of barn plans (such as sheep pens, shed plans, etc.). This is great for anyone building their own outbuildings on their homestead. Are you homesteading? How much land do you have? How do you deal with a septic tank while trying to have a tiny homestead? We have 3/4 of an acre but half of the backyard is the septic tank and drainage lines. I have read that you are not to plant anything but grass on it. Yes this is a problem – it is not recommended to grow fruit or veg or graze animals on or near the septic tank area. As far as I know there is nothing that can be done about this. If any readers have ideas then let us know here in the comments! Composting toilet to eliminate black water, then you only have gray water issues which is more manageable. When you empty a composting toilet, where would I empty it? Were the septic tank drain you do square or bucket garden to eliminate contamination and be able to have all space available. You can do a container garden plot over septic areas – just set up a bunch of pots.